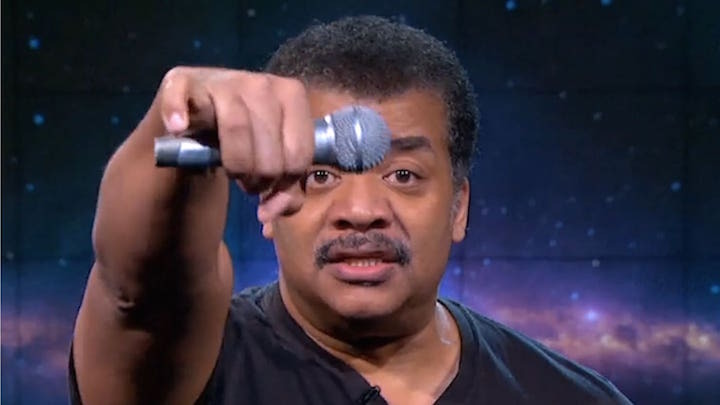 Following is a bit from astrophysicist Neil deGrasse Tyson for the Natural History Museum explaining the phenomenon. Check out the full article here. "What will future civilizations think of Manhattan Island when they dig it up and find a carefully laid out network of streets and avenues? Surely the grid would be presumed to have astronomical significance, just as we have found for the pre-historic circle of large vertical rocks known as Stonehenge, in the Salisbury Plain of England. For Stonehenge, the special day is the summer solstice, when the Sun rises in perfect alignment with several of the stones, signaling the change of season. For Manhattan, a place where evening matters more than morning, that special day comes twice a year, when the setting Sun aligns precisely with the Manhattan street grid, creating a radiant glow of light across Manhattan's brick and steel canyons, simultaneously illuminating both the north and south sides of every cross street of the borough's grid. A rare and beautiful sight. These two days happen to correspond with Memorial Day and Baseball's All Star break. Future anthropologists might conclude that, via the Sun, the people who called themselves Americans worshiped War and Baseball. For these two days, as the Sun sets on the grid, half the disk sits above and half below the horizon. My personal preference for photographs. 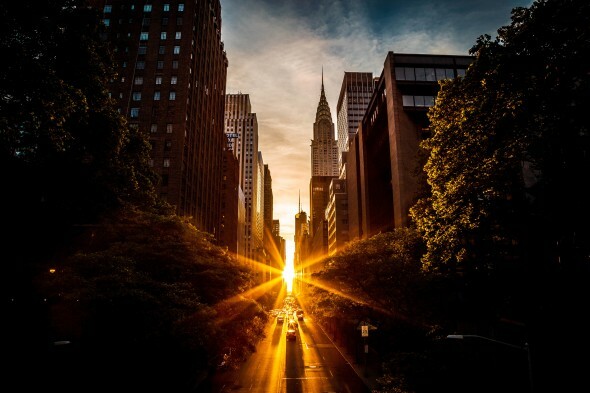 But the day after also offers Manhattanhenge moments, but at sunset, you instead will find the entire ball of the Sun on the horizon."